If you need a better way to explore your hunting unit in Wyoming, you've come to the right place. 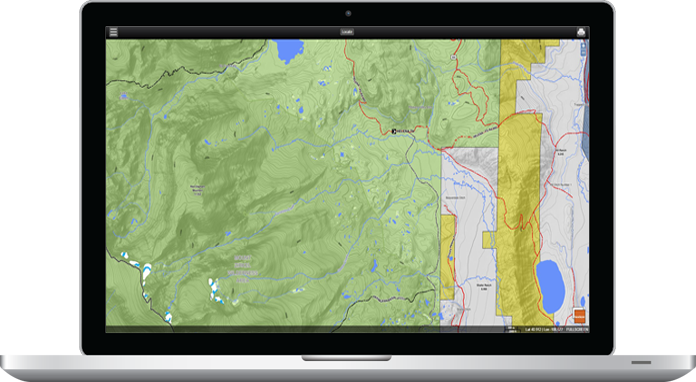 DIY Hunting Maps has the complete mapping system for your big game hunt. We give you the topographic tools to get it done on your Elk, Deer or Antelope hunt this fall. If you demand in-depth topographic and shaded relief coverage, with up-to-date public land ownership and extensive water coverage on a map you can unfold and see the big picture. Our Paper Maps are for you. They may look like any other map out there when they're folded, but unfold them to unlock the 'DIY Difference' and find more access to your Public Lands. If you're not using these chips on Public Lands, you're only seeing part of the picture. Landownership and 24k topolines don't cut it anymore. If you're a serious public lands hunter, these chips give you access to Closed and Decommissioned roads, trails broken out by designated use, a fully integrated relief, and we're just getting started. The last part of the hunting map system, is our digital map platform. Peruse the same data found on our paper maps, in the way you see data on your GPS, from the comfort of your own home. Throw them up on a big screen, add in CPW layers, print out custom maps from your printer. It's really an invaluable tool.